With the Competition Committee set to convene on Tuesday in Toronto at the NHL’s offices, it was announced Saturday that David Backes (St. Louis Blues), Cory Schneider (Vancouver Canucks), Michael Cammalleri (Calgary Flames), Ron Hainsey (Winnipeg Jets) and Alex Pietrangelo (St. Louis Blues) will represent the members of the NHLPA as the player contingent at the meeting. 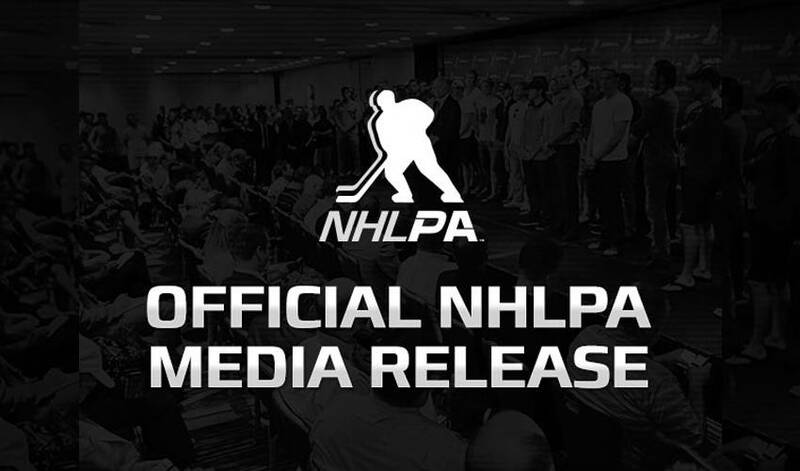 Mathieu Schneider, the NHLPA’s Special Assistant to the Executive Director, who is a non-voting member of the Competition Committee, will chair the meeting. The Competition Committee has been in place since 2005 for the purpose of examining and making recommendations concerning issues affecting the game and the way it is played. The committee examines issues such as the development, change and enforcement of rules, equipment regulations and standards, dressing room and in-arena facility standards, scheduling and outdoor games. The Competition Committee consists of five players as designated by the NHLPA and five club officials as designated by the NHL.